One of the more common Atari Questions / E-Mails we get, do you really have that Atari part or Atari item in stock. I have checked the world wide Internet and you are the only one that lists it? I noticed that your that your Atari web page(s) have not been updated (bottom of each Best Web page has a last updated date) for weeks, months or years? When we cleared out the local Atari Sunnyvale Warehouses here over a 10 to 15 year period, we hauled in thousands and thousands of Pallets of Atari Goods. Some Atari items we have a lifetime supply of (hence why the Best Atari web page for that product never gets updated) and other Atari items have sold out fast to the world wide Atari users and collectors. Bests Atari Hall of fame A little background into why Best Electronics was started 35 years ago and a short list of Best Exclusive made Atari Products, Atari Upgrade kits, Replacement and Upgraded Atari parts Best has developed / produced in the last 35 years in the Atari business. See why some of the Best made exclusive Atari items and stock Atari products we carry, even show up on E-Bay after they are purchased direct from Best Electronics and resold with a big mark up by E-bay Atari sellers! After 30+ months (2 years and 6 months, the longest in Best Company history) of work, Best is releasing the 3rd upgrade for the stock Atari made stock CX40 Joystick. The Best 1st CX40 Lifetime Gold internal PCB upgrade was introduced in 2005. 2nd Best CX40 Lifetime Silicone Joystick boot, released in November 2016. Released on August 09, 2018 the 3rd Best CX40 Upgraded / Enhanced / Beefed up Atari CX40 Joystick replacement part. The Best Super CX40 Joystick replacement handle. Three New Best CX40 Joystick upgrades, 15 to 20 years after very last Atari Engineering Upgrades / Revision Changes were made to the stock Atari made CX40 Joysticks. As of July 10, 2018 Best Electronics is now shipping 4th Generation / Rev. 4 of the Best exclusive Atari CX40 Joystick Lifetime Gold PCB boards. For over 13+ years now, they have become a World Wide Upgrade board that turns the always failing (because of the stock CX40 boards) Atari CX40 Joystick into lifetime Gold CX40 Joystick (assuming the inner CX40 white handle is good). Read the upgrade stats / information on the Best CX40 Gold PCB's and the 110% positive feed comments from World Wide Atari / Commodore CX40 Joystick users that have installed the Best CX40 Gold Upgrade boards They are even purchased direct from Best Electronics and resold on E-Bay! After 10+ months work, Best is releasing its latest Atari Upgrade part for the 35+ year Atari designed CX40 Joystick. See why Best went back to a 1982 Atari Engineering designed CX40 part to inspire its latest Upgraded / Improved CX40 Lifetime replacement part. Where the average Atari company would of given up over a year and 7 months ago, looking for a replacement / upgraded Atari CX30 Paddle Pot. Best would like to thank the hundreds and hundreds of patient world wide Atari CX30 Paddle users who have waited and inquired over and over for the last 19+ months about the status of Bests Super Pot search. Read what Best Electronics went thru searching the world for a new 2nd Generation CX30 Pot vendor. What sounds like a very easy Atari part to find, ended up being a very very long extended search (the 2nd longest in the 34 year company history) for Best Electronics. 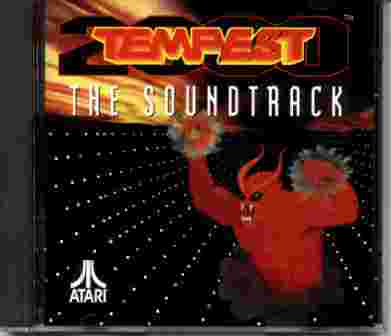 After over 8+ months work, Best is releasing its latest exclusive Atari upgrade. It is a 2016 Upgraded / Improved / Licensed version of a bench mark / proven Atari 800XL 256K Ram Upgrade, 1st released in 1990. After over 6 months work, Bests New and Latest Gold controller Upgrade for a troubled Atari 7800 Joystick (like the Atari CX40 and CX52 Joystick problems which Best has fixed) with a shaky past. If you liked Bests CX40 Joystick lifetime Gold PCB boards, Upgraded Gold Lifetime Atari CX40 Joysticks and Lifetime Atari 5200 CX52 Gold Joysticks you will love this latest Atari 7800 Lifetime controller upgrade. After 8 months work, Best's latest 2016 Atari 1200XL Keyboard Upgraded internal replacement Mylar for an Atari keyboard with almost a 100% Failure rate! Here is a chronological listing of all Best Atari Web site Updates, Corrections or New Atari items since it went up in early 2002. As you will see, we keep the Best Atari Web site current and up to date for all Atari Consumer products we support. Best Electronics started its 35th year in the Atari business! As of 02-07-18 the Best Web site has had over 1 Million+ views from World Wide Atari users! Love what you see at the Best All Atari Web site? Click on the Favorites button below to add Best Electronics to your Internet Explorer Favorites folder. The Perfect Holiday / Birthday Gift for that Atari Person. Best Electronics was Voted "The Best Atari Supporting Company" in the World. By World Wide Atari users, in the Independent online, MyAtari 2002 and 2003 web site Surveys and 1st Runner up in the 2004 Survey! Survey was not run in 2005 - 2016! All comments are spontaneous unsolicited Best customer feed back comments and are posted here with the permission of each Best customer. Al L. of CT Al ordered a New loose Atari Jaguar Super Burnout game Cartridge. "Just wanted to drop a quick follow up: The Super Burnout cart looks and runs great. Thanks for the lightning fast shipping, the pro packing/handling and the cool background info on Best Electronics. Once my wallet is ready, we�ll be back in touch. Thanks again for your help and services." Garry T. of OH. "The Best catalog is a treasure-trove of tips and hints for repairing/trouble shooting your Atari. The tip about how to fix your ST keyboard if the mouse wasn't working correctly was terrific. I was able to fix the keyboard very easily without having to replace the keyboard or getting a new mouse. The Best catalog should be every Atari owners' best friend! Super resource. Thanks again for everything"
Michael W. of CA Michael contacted Best via E-Mail, because his old Atari 810 disk drive would read and load some Atari disk based games, but refused to properly format Atari floppy disks. He was think of getting a New Atari 810 sideboard with data separator and a C version (last 810 revision ROM made) 810 upgrade ROM to fix his 810 format problem. Several 810 diagnostic E-Mails questions back and forth, pictures sent and received. Best told Michael his Atari 810 already had a 810 sideboard with the 810 data data separator and in most cases that was not his 810 format problem. We recommend he should get a new upgrade Atari 810 Grass Valley Rear power board and top head card, to replace the old 810 single rear power board with known 810 Speed problems. "Just wanted to say "thank you!" - the Grass Valley board got my 810 working again - what would I do without your great support and stock / supplies of retro parts! Thanks again"
Mark Y. of PA Mark contacted Best because he was trying to get his not working Atari 800 computer (he purchased new in 1980's) going again. Atari 800 Diagnostic questions asked and answered, 5 to 6 E-Mails back and forth, Best suggested Mark get a new Atari 800 US CPU and a new Atari 800 OS plug in replacement cards. "Just wanted to let you know that your board replacement suggestions were spot on. The new boards work perfectly and the Atari 800 is up and running again after 40 years. Thanks again!" Best Electronics Company wide Recycling and Eco efforts! Best Electronics has been Sold Out of the very popular Wizztronics Atari 8 bit Midimax MIDI interfaces for close to 6 � 7+ years now. 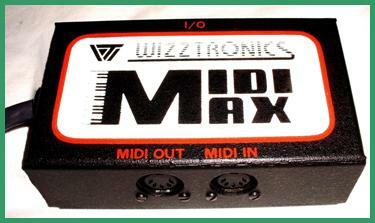 Not to use the over used �RARE� word on E-Bay Atari listings, the MIDIMAX product is one step more. In the last 10+ year of watching for Atari items on E-bay every single day, I think in total, we have only seen one used Wizztronics MIDIMAX listed and sold on E-Bay. Think of it, have you ever seen a Wizztronics Atari MIDIMAX ever listed on E-bay at all? World wide Atari 8 Bit Computer (400 (48K), 800 (48K), 1200XL, 800XL, 65XE / 130XE and XE Game owners simply will not part with their highly prized Atari MIDIMAX interface. With an inexpensive MIDI Keyboard you can now learn how to use MIDI Synthesizers, Drum machines, Write/Save, Play and Modify Music without the normal High cost of a normal MIDI system and Atari ST, PC or Mac Computer. With the MIDIMAX MIDI interface, standard MIDI Keyboard, 2 MIDI cables and an Atari 8 bit computer with disk drive, you have a Brand New application for your Classic Atari 8 bit Computer!! The Best Electronics State of the Art internal Upgrade for the Classic Atari CX40 Joystick! Also See Atari CX40 Joysticks upgraded with the New Best CX40 Internal Upgrade! Atari Flashback2 New Owners. 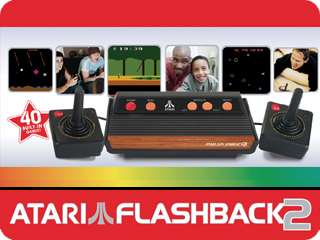 Did you know that there is an Internal Hack / User installed upgrade that will allow the New Fixed 40 internal game Flashback2 Atari consoles to use the over 400 to 600+ Atari 2600 Game cartridges? It does require you open up (Break the Warranty seal) your Flashback2 Console and solder wires to the Flashback2 motherboard. Best Electronics is listed in this article and the only one in the world to have the New Atari 2600A Cartridge Guide assemblies ($10, Limit one) in stock for this Flashback2 upgrade. I over paid for an Atari item! E-Bay is a great place for Atari Bargains, but over the last 14 to 15+ years we have seen Atari E-bay bidders over pay for thousands of New and Used Atari items that have No Warranty at all, when Best Electronics has the exact same New Atari item in stock for less money with the normal Atari 90 Day Warranty (same Atari Warranty for the last 35+ years) and in most cases with cheaper shipping charges. So when you find an Atari item on E-Bay you are thinking about bidding on, suggest you come to the Best Atari Web site to find if Best Electronics has the same New Atari item in stock. 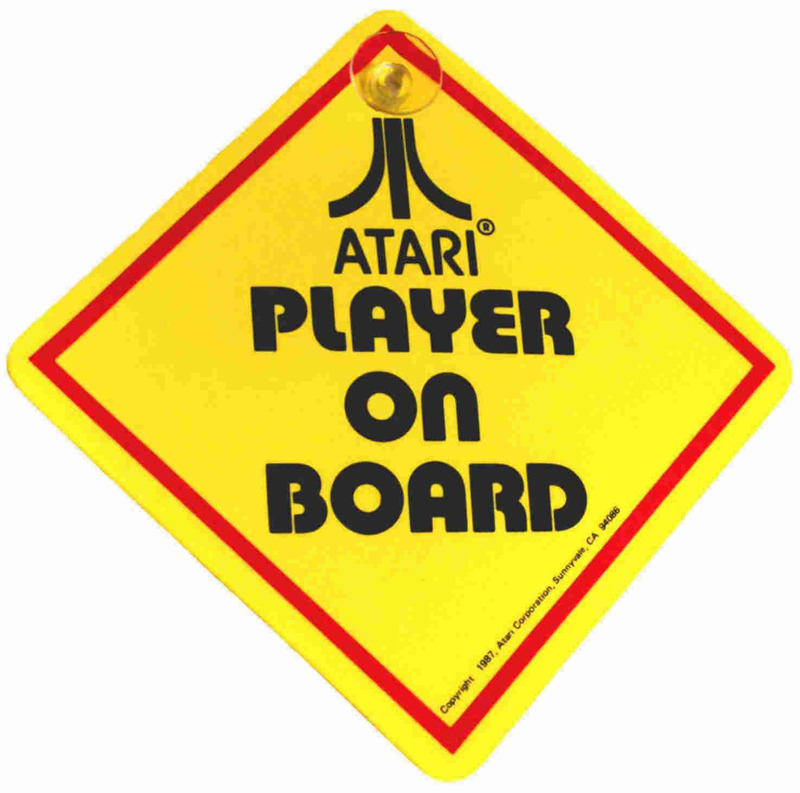 Remember that not all of the over 5,000+ Atari items we have in stock are listed at this Atari web site, only the more popular ones we get requests for. If you can not find it on this all Atari web site, send us an E-Mail: bestelec@concentric.net The lesson here is, you should always check the Best Web site before bidding on any Atari item and do not get caught up in E-Bay Bidding fever or get caught by an E-Bay land shark trying to get over market value for a new or used Atari item. If you do have a problem with your Atari E-Bay item you won and it is sold as Seller does not offer returns, you can come to Best Electronics to get the Atari replacement parts or free Best Atari Technical advice on how to fix your ailing E-Bay Atari items. Bests New Atari Red Vinyl blow up Bird Kite with Kite string with normal 90 day Atari Warranty. $12.00 plus shipping In stock for over 30+ years! Bests New in the Shrunk Wrapped box Parker Bros 2600 Spider-man with normal 90 day Atari Warranty. $39.95 plus Max. US Shipping $7.90 In stock for the last 20+ years! 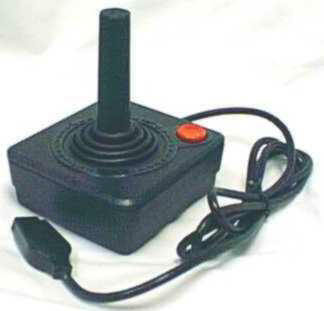 Best Electronics Atari Joystick, Paddle, Trackball and other Atari Controllers Quick Reference Guide! Best Atari Information tip: Atari Power Supplies or what you should know before you buy a used E-Bay Atari Power supply or E-Bay Atari product with an used internal Atari Power Supply. Best Electronics Final Answer to the Atari 5200 Joystick 25+ year Problems, What Every Atari 5200 Owner Should Know! After close to 28+ years of selling Reconditioned Atari Carbon dot and Gold CX52 Joysticks, we have finally run out of the Atari CX52 Joystick cores to rebuild, we got out of the local Sunnyvale Atari warehouses years ago. 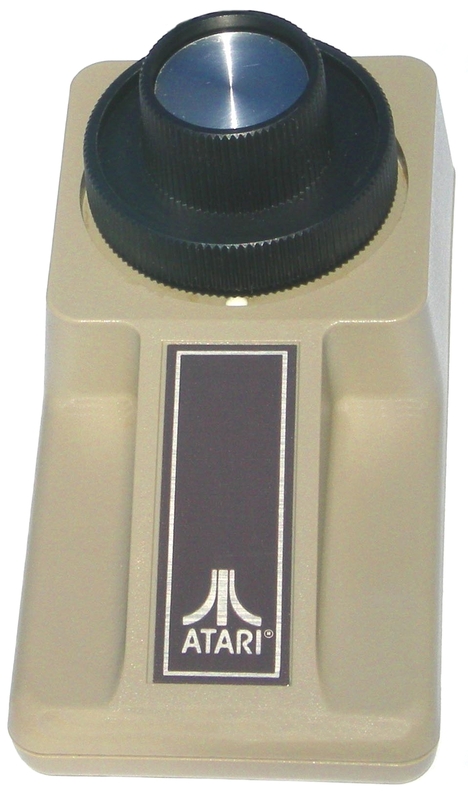 Any Atari 5200 owner who purchased our Best CX52 Gold Joysticks, 1 to 11+ years ago from us, knows that they are now lifetime upgraded CX52 Joysticks and you do not need any spare old / used CX52 Joysticks to keep as possible back up controllers. We are asking you to send us any old / used Atari CX52 Joysticks you have. Keep them from going into a land fill and recycle them so another deserving Atari 5200 owner like yourself will have the same fun / lifetime use of a Best CX52 Gold upgraded Joystick that you have. If you like Best will credit you Best customer account a $6 credit per sent in CX52 complete controller for a current or future Atari Purchase / order from Best Electronics. Best Electronics Exclusive and Very Comprehensive article on the proper rebuilding Atari CX52 5200 Joysticks Includes a short list of the more popular Atari CX52 Joystick and Atari 5200 OEM replacement parts we carry (end of Article). Good News! CX40 stock Joystick Rubber boots back in stock, no limits for now. Do you have an old pair of Atari CX30 Paddles that have Shaking / Jittery cursors when you use them? Read how simple it is to cure this problem. Includes a short list of Atari CX30 Paddle OEM replacement parts. One of the critical Atari OEM parts we got out of the local Atari Parts warehouse, required for this Atari CX30 Paddle rebuild finally Sold Out, but after a 6 to 7 year search the critical CX30 Paddle part just got upgraded to a 3X better version (Sold Out), now shipping a 5X 2nd Gen. Paddle Pot. See information below. Another Best Electronics Exclusive Atari Upgrade item! 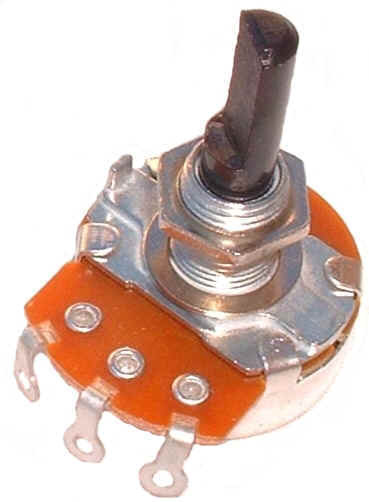 Read about Best Electronics 6 to 7 year search for a replacement Atari CX30 Paddle Potentiometer. New Extended life Atari CX30 Paddle, Gemini (non Atari Clone paddles) with the half shaft paddle knobs (not for the Gemini paddles with the splined paddle knob/pot shaft) and Ultra Pong, Super Pong, Super Pong Pro Am hand held Pong Paddle controllers replacement 1st Generation Super Potentiometers!!! Read about Bests 19+ month search for a 2nd Generation Upgraded / Enhanced S5 Atari CX30 Paddle and Atari / Sears Pong Paddle Super Pots! Can the Best S5 Lifetime CX30 Paddle pots be used / installed on Non Atari made Paddles? Back in Stock after a long absence, the Atari CX24 Joystick / Atari CX22 Stock Trackball Fire button replacement PCB's. The New Best CX24 Joystick Upgrade matched set of 3 Gold Lifetime PCBs. State of the Art, Atari Joystick for the Older Atari Systems! Ever hear an old Atari person talking about an Atari BBS or Sysops and wonder what they were talking about? Find out what Atari Computer users did 15 to 18+ years ago, before the Internet as we know it! See a Demo of an Atari BBS or with a little effort, you can once again connect up to a live Atari BBS! Read about a recent visit we had to Best Electronics from one of the premier Atari / Activision programmers of her time, Carol Shaw! Having trouble connecting up the your old Atari to your Cable Ready TV and think your Atari is Bad? or What you should know before you connect up your Old Atari Product to your Cable Ready TV. Check out our Best Electronics Money Saving Atari Information tips (and other common problems) before you doing anything else with your Atari 2600, 5200, 7800, Atari 8 bit Computers or ST Computer system! These Best Tech Tips also apply to Most Atari products made, that connect up to a TV. Best Atari 2600 Tech Tip! What to look for when Buying/Bidding on a Used or third party Reconditioned Atari 2600 / 2600A / 2600Jr console. Includes a list of Atari OEM 2600 replacement parts. Best Atari Tech Tip: Faulty Game Cartridges? How you can salvage questionable Atari Game Cartridges. Latest Free Atari Tech Tip on getting Composite Video out of your Atari 2600, 5200 or 7800 without any internal Mods. Atari 2600 Cartridge Collectors! 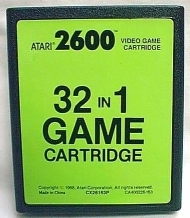 Do you have an Atari 32 in 1 Game Cartridge in your Collection? New Atari Prototype / Unreleased in the US, 7800 Light Gun Game! Atari US / NTSC version Sentinel. Have you seen those E-Bay Auctions for 7800 Composite Video modifications? You pay from $35 to $50+ and send (you pay for the shipping) in your 7800 console to be modified. Best Electronics has a new Atari Engineering designed 7800 Composite Video mod for US 7800 Consoles you can do yourself for far less money! New or First Time US Atari bidders, Read our informative Best Atari Information Tip, That will save you some Grief, Hassles and Money!! Thought to have passed into Atari History (lost for over 10+ years in our Atari Warehouses, we recently found a box of upgrade instructions on an Atari Pallet we were breaking down), Atari User written 8 bit Atari Computer Upgrades / Atari Hacks. The Atari 65XE to 320K / 130XE Ram upgrade, 256K 600XL , Atari 1200XL Operating System back to the more popular 400 / 800 OS standard and Indus 8 bit GT Disk Drive Upgrade ROM. Are you an Atari 8 bit computer collector and have every Atari SIO peripheral Atari product made connected to your Atari SIO Daisy chain, but have run out of empty SIO ports to plug in all of your Atari SIO devices into? Best has the perfect answer to this Atari SIO problem! Just In Dust Cover for the Atari 800XL Computer with the Atari Logo! New Unreleased / Prototype Atari XE Game Cartridge! Once is a Lifetime buy. New Atari 825 80 Column printers in the Atari Original 30+ year Factory boxes! One of the misdiagnosed Lynx II known problems and Best Electronics final Cure / Upgrade fix for it. Reconditioned Atari Lynx I and II Console Specials! Now in stock the long over due Jaguar combo Composite and Enhanced S-Video Cable. Best Electronics Repairs Atari Jaguar CD Drives. Please E-Mail us at: bestelec@concentric.net for details and costs. 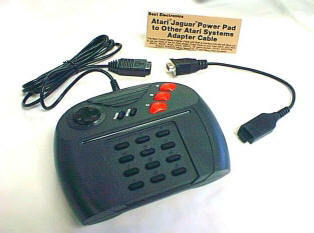 Best Electronics exclusive Jaguar console Red Screen of Death Atari Tech Tip. Atari ST / Mega / STE / MegaSTE / TT / Falcon Owners. Heard of the Atari produced Upgrade Ajax Disk Controller Chip and wonder what it was? Read about this Atari Custom chip that is fully Backward (to all ST computers made) and Forward compatiable to the very old WD1772 Disk Controller chip. Atari designed State of the Art Custom drop in replacement DSDD / HD Floppy Disk Controller Chip. Best Electronics is now the US Distributor for the Atari ST Bench Mark HDDRIVER Rev. 10.13 ST Hard Drive / Hard Drive Mech. Prep program. New Double Sided, Double Density (DSDD) 3 1/2 Floppy Disks! Atari 520ST, 520STFM, 1040ST, Mega 1/2/4, Stacy 1/2/4, MegaSTE, early Mac's and Amiga Computers Owners. 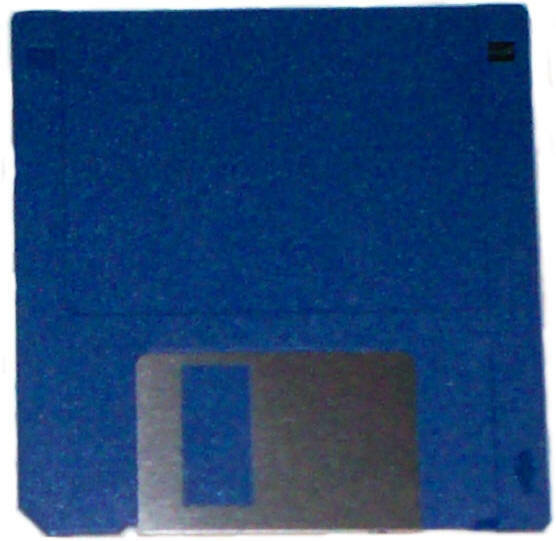 Have you tried to find New 3 1/2 inch DSDD Floppy disks lately? They are basically an obsolete / discontinued item and have not been produced by Floppy Disk Manufactures for close to 8 to 10 years now. Best Electronics recently got in a lot of New DSDD 3 1/2 Floppy Disks, probably the last new ones we will ever see. Also see the Best Floppy Disk Information tip below. Best 3 1/2 Floppy Disk Information tip: for Atari ST Midi Composers and ST Users who use Atari 520ST, 520STFM, 1040ST, Mega 1/2/4, 1040STE, Stacy 1/2/4, MegaSTE, TT Computers equipped with 720K Internal Disk Drives also early Mac's and Amiga owners, are you having problems saving data to your floppy disks? Are you using the wrong type of Floppy disks? Alldata and Bell and Howell users! Best Electronics has full Hardware support for your Atari ST/Mega (Alldata 3 and 4 Systems) Auto Diagnostic System and 1040STE, MegaSTE or Falcon based Bell and Howell Mail sorting System. Atari Mice, Atari Keyboards, Atari Replacement Monitors/Multi Sync adapter cables or board level Components. Atari TT and MegaSTE Owners, Looking for Replacement Internal SCSI 1 Hard Drive? Looking for an Atari ST Color, ST Mono Chrome Replacement Monitor? Find out how you can get 2 ST monitors in 1, using Best Electronics Multi Sync Monitor adapter cable. Now with a New Expanded List of over 110+ Compatible ST Multi Sync Monitors! New Updated Information on using the Best ST Multi Sync adapter cable with a RGB to VGA Converter Box to just about any of the Newer Larger LCD / TFT Computer Monitors, The Largest LCD TV's and Projection TV's. This RGB to VGA converter box will also work with any of the largest Tube type of Multi Sync monitors too. New Update on the Brand New 2nd Generation Best ST Multi Sync adapter cable! Best Electronics ST/Mega/TT/Falcon Truemouse Special! To Celebrate Best Electronics 20+ years in the Atari Business and 14+ years selling the High Quality Truemouse (The ST/MegaSTE/TT/Falcon replacement mouse), we are running a Limited Special! Buy 2 Truemouse�s for $34.95 each (click here for more information on the Truemouse) and get a "FREE" Atari Handy Mouse / Mini Trackball (click here for more information on the Atari Handy mouse), a $32.95 value! Special to end without notice! Best Electronics exclusive Mouse Plus Teflon upgrade internal roller set for the Taiwan Made STM1 Gray 520ST / 520STFM / 1040ST / 1040STE / MegaSTE / TT and Falcon ST mice. Now back in stock, the PC version of the Best Trackball! The New Best Atari Falcon Upgrade all Falcon users can use! A Money Saving Best Tech Tip for Atari SLM605 Laser Printer Owners! Atari Collectors, think you have one of just about one of everything Atari in your Collection, Maybe not? On one of our recent Trips to a German Atari Messe (Fair) we found a rare Atari Collector item, which most Atari Collectors have Never seen before, a Genuine Atari Made Full Size Grocery Bag with the Atari Logo's on it. These Atari Collector Bags, were given out at the Atari Booth Store when you purchased some Atari Collector Clothing, Products or supplies 10 to 12 years ago. Very Limited Supply! and Limited to 1 per Lucky Atari Collector. $15 each. Our Revision 10 Catalog all Atari Catalog with over 5000+ Atari Parts and More! New Updated information! Catalog front and back cover pictures, Catalog Specifications, Catalog Questions and Answers, Comments and Reviews on the Best Rev. 10 Catalog, Ordering information. Best Revision 10 Catalog 14 page Addendum online with color photos. Best Rev. 10 Catalog Owners, Down load and add the current Addendum to your Best Atari Catalog! New information on future Best Rev. 10 all Atari Catalog Addendums. We are the Largest Atari Dealer for Atari OEM Replacement Parts in the World, for Atari Computers and Game Machines with over 5000+ different Atari Parts and Atari Accessories in Stock and Ready to ship. 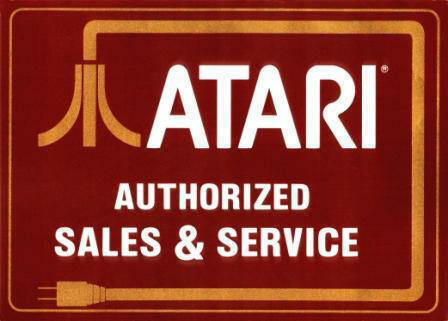 We cannot list our complete 5000+ Atari inventory on the web, but it's in our catalog. order your copy today. Looking for a Best Electronics On Line Order form and can not find one? Click Here! Typical Questions and Answers we get from our New Atari Customers. Problems with an Atari product? Most Domestic orders shipped within 24 hours. International Worldwide orders within One to Two business days. Over three and half Decades of accumulated Atari Technical / Repair Information and Atari Customer Support at one source.